100% Viewability: Is it Really the Best Bang for Your Buck? The advent of data-driven digital advertising has presented marketers with unprecedented opportunities to engage with their audiences in more efficient and effective ways. Campaign managers are seeking high quality advertising experiences for brands, publishers, and audiences alike. While the rapid-growth of data-driven digital advertising has enabled marketers to measure fraud, malware, security, and viewability issues like never before, it has simultaneously created a need for new metrics and data analytics tools that are utilized to optimize a campaign’s viewability performance. Many marketers are analyzing campaign data to implement new solutions that will increase the viewability of ads they have placed. According to IAB, ads are considered “viewable” if 50% of their pixels are in view for a minimum of one second. In light of this new viewability standard, publishers and agencies have been forced to restructure their delivery and ad placement strategies. Now many marketers are demanding 100% viewability and putting increased pressure on publishers to hit this perfect target. 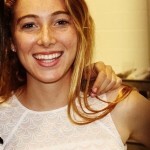 Molly Kennedy, eHealthcare Solutions Viewability Data Analyst, expressed how “this target is not very feasible and is extremely difficult to reach”. Research completed by both digital marketing agency IMM and programmatic media planning and buying company Goodway Group echoes Kennedy’s thoughts with their studies suggesting that delivering 100% viewable campaigns actually doesn’t prove financially sound. Keith Pieper, IMM’s VIP of technology, claims that “It’s about finding the right threshold” and encourages marketers to question “What is the incremental value of that extra point of viewability for the extra CPM you’re paying?”1. IMM concluded after running numerous viewability tests for clients that paying more for higher viewability as a way to maximize conversion rate is only valuable up until a certain point. After about 50%, the cost-benefit ratio starts to slip1. Goodway Group observed a similar trend in its own research that spanned 1 billion impressions across inventory sold programmatically on both the open exchange and in private marketplace deals. The research showed that “sites between 30% and 40% viewability rates were the best value for money in terms of CPM paid to conversion generated” and that “for sites with 80%-plus viewability, the conversion did not justify the CPM”1. Goodway found that even impressions that fall short of the viewability definition aren’t worthless because the brand and creatives that encompass an ad carry significant weight in how the audience consumes a particular advertisement. There are also some impressions that are just unmeasurable due to bot traffic, fraud, poorly designed sites, slow-loading tags, and discrepancies between vendors’ billing methods. 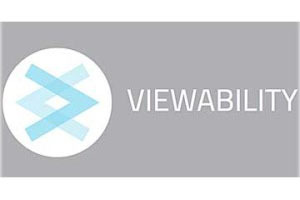 Don’t be mistaken – it’s still possible to achieve 100% viewability. However, these studies propel companies to now develop advertising strategies that take into account performance versus money value when it comes to viewability. Schiff, Allison. “Demanding 100% Viewability Makes A Good Headline, But It Isn’t Worth The Price”. Adexchanger. 09 May 2016. Web. Date Accessed: 30 June 2016.
eHS is on the cutting edge of viewability topics and measurement tools in order to provide education to both publishers and agencies/advertisers. At eHS we work persistently with every exclusive publisher in our network to help improve their viewability. We monitor each publisher through our ad tags using accredited MRC vendors in order to provide recommendations for improvement on non-human traffic, in-view percent, and other viewability metrics. We also partner closely with agencies and advertisers to agree on viewability measurement tools and billing procedures. Transparency in our relationships is the key to staying ahead of the viewability curve.